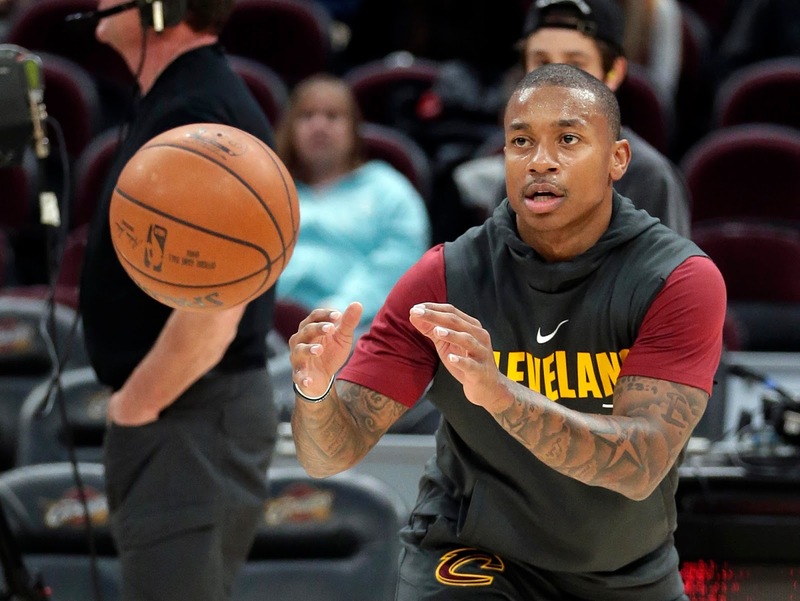 Making his return to the hardwood for the first time in over seven months, Isaiah Thomas' debut for the Cleveland Cavaliers was nothing short of what fans here in Boston saw the last two and half years. The "Little Guy," as long-time Boston Celtics announcer Tommy Heinsohn loved to call him, looked very comfortable as he tallied 17 points scoring half his shots from the field (6/12 total) in just 19 minutes of play. Now donning #3 as he coincidentally had three assists for the "Wine and Gold" as they're called in northeast Ohio, Thomas bared no signs of someone coming off seven months of hip rehabilitation. Hip issues, what? Looks like the same old Isaiah to me. Yes, this is just his first game back but to the same token, this is just his first game back! He's not supposed to look this good with LeBron James already! Why isn't there a clip of LBJ and him getting into a shouting match for screwing up a play?!? Something!!! Ahh! All right, I'll tone it down. But this has to be a little alarming to C's fans. The guy is already going off on one of the best backcourt duos in West in Damian Lillard/C.J. McCollum -- never mind the rest of the Portland Trailblazers a.k.a. the Brotherhood with One Banner, and former Celtic sixth man Evan Turner who showed IT some love as he made his entrance. Nonetheless, time will still tell the story of how the biggest blockbuster trade of summer 2017 pans out for both parties but expect a lot more chatter upcoming with Isaiah in town tomorrow. Despite the fact that it's been reported he won't be playing tomorrow and demanded not to receive a tribute video as well, there will obviously by tons of attention around the game. Playing or not, IT's appearance on the Cavaliers bench his first time back at the TD Garden as he now roots for Darth Vader himself (LBJ) to mercilessly destroy us rebels will be horrific -- Yes, the Star Wars references were necessary. I imagine seeing him on the bench there will be quite similar to the feeling you get when you see the girl you broke it off with walking with a new guy. Yes you we're the one that dumped her and you know this is what you wanted but there's still that small amount of bitterness and dare I say ... regret? Okay maybe regret is a little too far but I can't imagine the taste will be any less bitter for Celtics fans tomorrow night. 17 points and 3 assists in 19 minutes for Isaiah Thomas in his season debut tonight. Didn't look that rusty at all. Celtics are probably lucky they'll miss him tomorrow. As noted in the tweet here by CelticsLife editor-in-chief, Mark Van Deusen, coach Brad Stevens and his team should probably be happy that Isaiah won't be making his first return to the Garden tomorrow night if he's playing like this already. 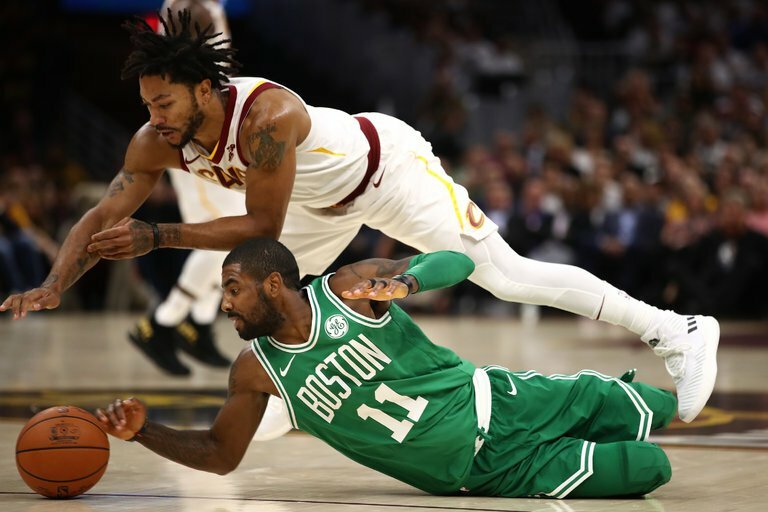 Having gained pretty significant ground on the Green while only trailing four games for the lead of the Eastern Conference, tomorrow night will be a prime opportunity for Cleveland to make a move up the ladder. However the team still has Thomas on a very strict rehabilitation program which was what led to him ultimately being ruled out. This didn't bother players or coaches especially including Cavs head coach Ty Lue who understand the process. More #Cavs coach Ty Lue on Isaiah Thomas: "He played under control, got to where he wanted. It's gonna be up and down. It won't always be like this. But I thought our fans were great, with the way they welcomed him." While I do think it would make tomorrow night's game that much more difficult as is had Isaiah played as well, we're still going to have to face off with the former heart of the Celtics team these past few years. In what seems like the perennial Eastern Conference Finals matchup, more likely than not IT will be making his return to Boston at some point this season. Soon enough you need to face the music and if you believe like I do that this team is ready to make a serious run at a NBA Finals appearance, they better start with a few warm-up games before May rolls around. How do you guys feel about Isaiah's debut for the Cavs?? Let us know in the comments below!